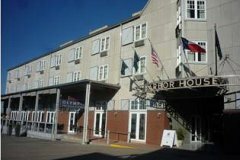 Harbor House Galveston is the coolest Galveston lodging at the waterfront. 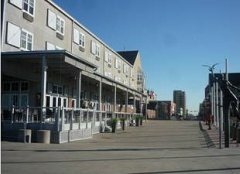 It was an old warehouse that has been converted into a hotel at the port of Galveston. This is not a very big hotel but its simplicity and comfort is admirable. The interior design matches up with the history of the building and the rooms have nice wooden floors with oak furnishing. Though it looks different from other hotels, the amenities are modern. The hotel rate varies according to seasons. The hotel provides a good view of the Victorian downtown and the ship channel. It's the right place to see boats, cargo ships,small boats and sometimes cruise ships on the bay waters. The Strand shopping district which is loaded with museums and shops is just 10 minutes walk from Harbor house. A few meters away from the hotel is the Ocean Star drilling museum. This is a very informative tourist attraction that is of interest to many tourists. The backside of the hotel is open to the bay. A dolphin watch boat sits on the water ready to take tourists out to sea and the Texas Seaport Museum is almost attached to the hotel. Watch hotel photos below. The 19 century Elissa Tall ship at the museum is a site to see. 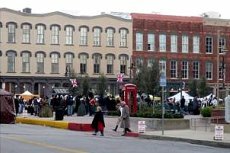 Many more attractions are in the downtown area. 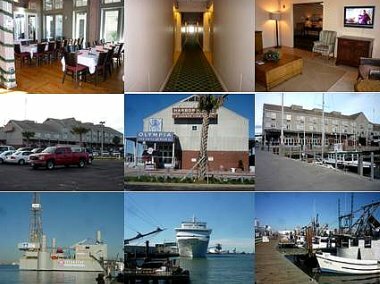 Some good advantages of the Harbor House is its closeness to deep sea fishing boats and the cruise terminal. The terminal is 5 minutes walk from the hotel. The hotel permits cruise parking for a fee. There is a nice restaurant called Olympia Grill at the hotel. Next to it is the famous Willie G's restaurant. Other nearby restaurants are Fishermen's Wharf, Fuddruckers, and Joe's Crab. Harbor House Galveston is a fun place to be. and the middle level shows the front, the side and the back. The lower level shows the museum, the cruise ship and the fishing dock.